ColecoVision.dk Homebrew Section Presents: Marcel de Kogel. Dutch Marcel near Amsterdam was one of the first to program games to ColecoVision. He do have a "finger" on many of the homebrew games. From 1996 and until 2001 he programmed a few games. 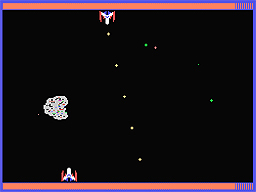 He launched his games under the Red Bullet Software. Cosmo Fighter 1996 - 1997. 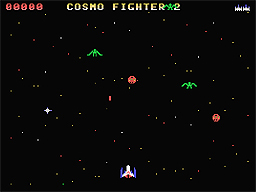 Cosmo Fighter 3 Supergame for ADAM and MSX-2 1999 - 2001. But it is not only the games he wrote. He also made a several programs for free use. Most of these programs is Emulators and language for ColecoVision. The 1996 CV Noise generator for use with the CV Sound chip. 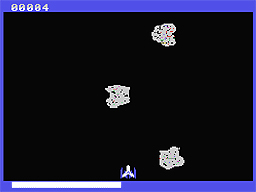 Many of marcel's programs are emulators used for PC, Macintosh, MSX, ColecoVision and other computers. To get in touch with Marcel, try this: e-mail.